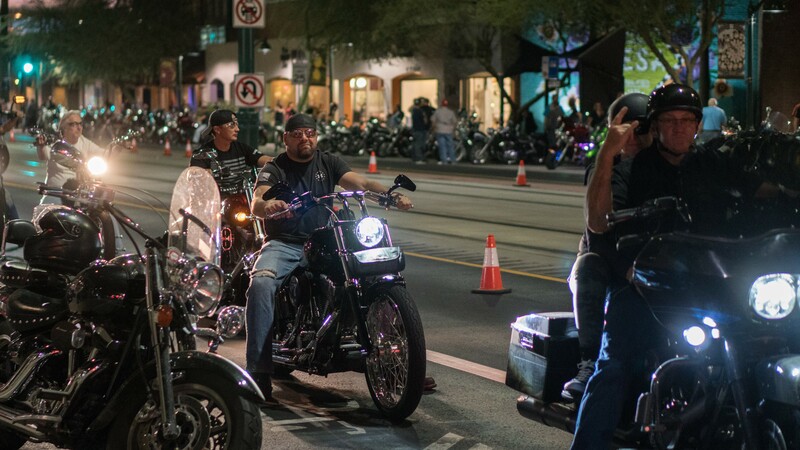 Join over 3,000 motorcycle enthusiasts on Main Street for a Sturgis-style event that attracts bike lovers from all over Arizona and beyond. The beer garden and live music will be located on North Macdonald while Main Street will be closed for riders and vendors. 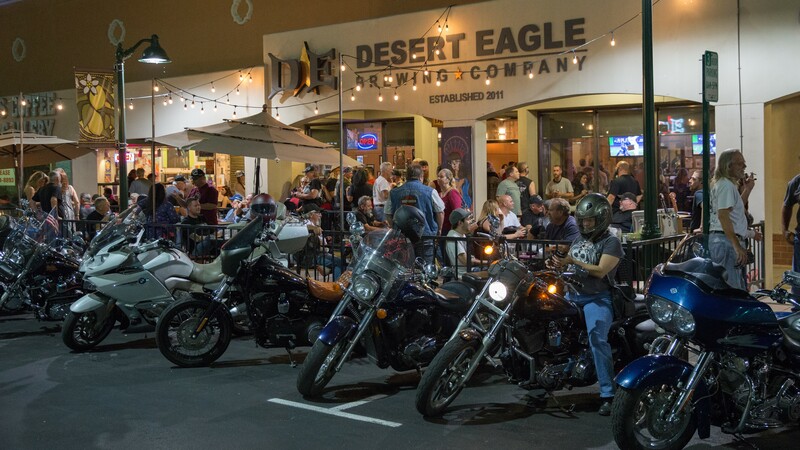 Motorcycles on Main is a shine and show event that offers live music on the main stage, beer gardens, vendors, food and a rockin’ good time! The event is also supported by our wonderful Downtown restaurants who stay open late during this event; Desert Eagle Brewery, il Vinaio, Mangos Mexican Cafe, Margaritas Grille, Nunthaporn’s Thai Cuisine, Oro Brewing, The Oak Room, Queen’s Pizzeria, Republica Empanada, Slickables Ice Cream, Volstead Public House and Worth Takeaway. The event is on Main Street. For your safety, please park along the sidewalks and away from the center of the street along the Light Rail guideway. 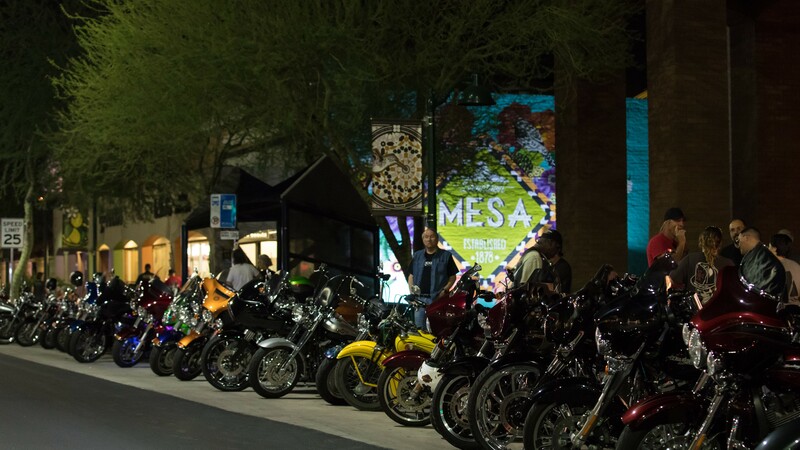 ***Downtown Mesa Association will provide each vendor with a 10x10 space or a 10x20 space. Vendor is required to provide all items needed for set up (table, chairs, tablecloths etc.). Vendors should carry their own liability insurance. Space assignments will be sent out the Wednesday before the event along with load-in instructions. Please arrive on time for load-in. Vendors must cancel within 7 days of event in order to be issued a refund. Submission of application does not guarantee acceptance. You will be notified once your application has been accepted. Invoice for vendor fees must be paid within 7 days of acceptance to confirm space. You will be sent a Paypal invoice once accepted. If you need to pay with another form of payment, please contact organizer. Booth fees unpaid within two days of event will result in a forfeiture of vendor's space.